Everyone coming to Japan wants to have a taste of the famous Japanese cuisine or try one the numerous attractive restaurants. When you first start your visit of Japan, it might be hard to select a good restaurant. There are hundreds types of restaurants; to help we have introduced some of the different restaurants that you will find in Japan. 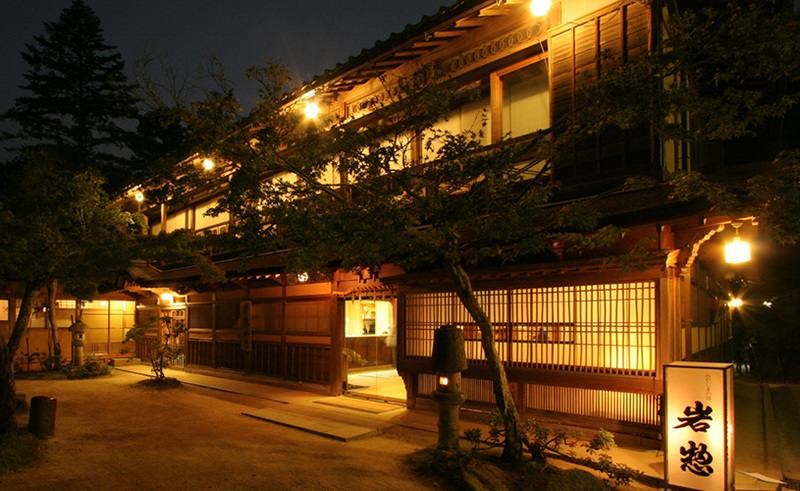 These traditional restaurants serve Kaiseki meals, which is a multi-course dinner. Every guest will enjoy a starter, several main dishes, Shokuji (mainly rice, pickles and miso) and a dessert. Often Kaiseki is composed of more than ten dishes and are often served in Japanese style room with tatami flooring and low table with cushions call zabuton instead to chairs. You may also find a chair back without legs to you can rest your back. 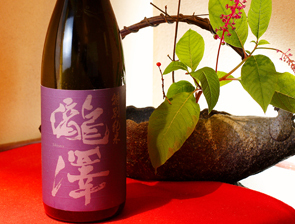 The best place to enjoy a Kaiseki meal is at your ryokan. These restaurants are especially popular for Japanese office workers and can become very crowded on weekends. 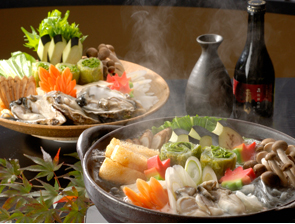 Izakaya serve all kind of Japanese food, usually the dishes are quiet small and all guests share dishes. One of the main features of an izakaya is the lively environment the the fun atmosphere. These are inexpensive specialized restaurants. The most popular ones serve Gyudon (beef bowl) or Domburi (a bowl of rice with food on top of it). Ramen shops can be considered as fast food and you will not wait more than 5 minutes to be served. And usually Japanese finish their dishes in also less than 5 minutes!! Ramen are noodles served in a soup with several toppings (eggs, pork, mushrooms…). More often than not these restaurants will be small with a long counter and a few small tables. They make ideal lunches with good, hot food. There are two main categories of sushi restaurants. The first type is small counter restaurant with a few tables. There you will tell the sushi chef what you want and he will make it right in front of you. These can range from reasonable to extremely expensive so please be careful. For a more casual meal Kaiten-zushi (sushi-go-round) will offer you sushi on plates that are presented on a conveyor belt, this can be really entertaining and is very convenient; no need to order, just pick up the ones you like. The color of the dish indicates the price with each plate costing between 100 and 150 yen. This is a great alternative and a less expensive way to enjoy sushi. If you do not find what you want then it is possible to order something. This is Indian food with a Japanese twist as it is served with rice. Most of them offer a variety of curry (beef, pork, vegetarian…) with a variety of toppings including fried shrimp or pork cutlet. They are relatively inexpensive and service is very efficient. In some of them it is possible to read manga while eating. For some curry-rice restaurants, you will have to order your dish and pay by using a vending machine at the entrance wish also adds to the twist. Yakitori are specialty restaurants that resemble an izakaya but the food is quite different. “Yaki” means grilled and “tori” means chicken so the name literally means grilled chicken. The main feature of this kind of restaurant is that most food is served on a small bamboo skewer which you just pick up and eat. The variety of food served at a Yakitori restaurant is quite large and you will definitely find enough to eat. They are usually small shops, quiet busy for dinner and full of smoke because the barbecues are inside. You can make tempura almost out of anything with fresh vegetables and shrimp topping the list. Basically tempura is food dipped in batter and then deep fried. Depending on the region, the chef will propose different types of tempura for you to try. Many Udon (noodle) restaurants also offer less expensive tempura. In such restaurants guests enjoy deep fried breaded pork. You can find them everywhere in Japan, but the most popular ones are in Kyoto. It usually comes as a set including a bowl of rice, sliced cabbage, and miso soup. These make nice and inexpensive lunches. In most of those restaurants guest will be served meals in a private room. Nabe is a large pot filled with broth; later the waiter will add all sorts of ingredients (fish, meat, mushrooms, vegetables…). Shabu-Shabu is also a large pot filled with broth but guests dip very thinly sliced meat or small pieces of vegetables or seafood for a few seconds into the boiling soup before eating. Both are very popular in the winter as the warm broth will warm you up. These restaurants are everywhere and make an excellent lunch or light dinner. Udon is a thick white wheat-flour noodle and is often served in a broth with a variety of other ingredients. Soba is a buckwheat noodle and is thinner and brown in color. In the winter these are most often served very hot (please check the temperature before eating) or cold in the summer. These restaurants will serve you a variety of Korean dishes such as barbecues, Bibimba (a spicy rice bowl covered with vegetables and meat). Italian cuisine is very popular in Japan. Some restaurants will offer you some very authentic Italian dishes. But some restaurants offer an Italian-Japanese flavor such as pizza with curry taste or wasabi. There are many Chinese restaurants in Japan and are located everywhere. Many major cities have a “Chinatown” where you can get some authentic Chinese food. You will find the famous American fast food chains in Japan almost everywhere; McDonald’s, Burger King… But there are also some Japanese hamburger restaurants like Mos Burger and Lotteria which give a more Japanese twist on the standard burger. Where and how to find the restaurant you are looking for? The best way to find a good restaurant is to ask your ryokan innkeeper, but please make sure they know the price range you are looking for and the kind of food. The innkeeper lives in the neighborhood and knows what is good and what is not. If you are staying a large hotel you can also ask the concierge but please be careful as they will often only tell you about the restaurants in the hotel. If you have an access to Internet, some website will help you to find restaurants. When walking around town do not limit your search to the first floor. Many restaurants are located in the basements or in high floors, especially in the major cities. In Tokyo, restaurants are everywhere, but the two best places to have a good meal are Ropongi and Ginza. In Kyoto, the Gion district is the place where you will find the traditional Kyoto restaurants. 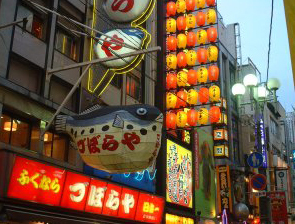 In Osaka, the Dotombori district is a must, there are hundreds of restaurants, many of which are open seven days a week and almost 24 hours a day. If you know a little bit about the Japanese manga, you know that maids are popular. Many Japanese now enjoy “Maid cafes”. The servers will welcome you wearing a maid uniform and use a very specific vocabulary. This is not for everyone but can be something fun. There are many kinds of buffets in Japan, in most of them you can eat as much as you want during 2 hours. They offer a lot different dishes and drinks. But some buffet only offer dessert! During the summer downtown department stores have “Beer Gardens” where you can site on the roof, enjoy beer and get something to eat. These are all you can drink so please be careful and do not drink too much. As you can see there are hundreds of ideas and we cannot even scratch the surface in this short post. While in Japan, please explore and try a variety of foods. The worse that can happen is that you do not like it but you also might find your favorite food. You will also have a great time.